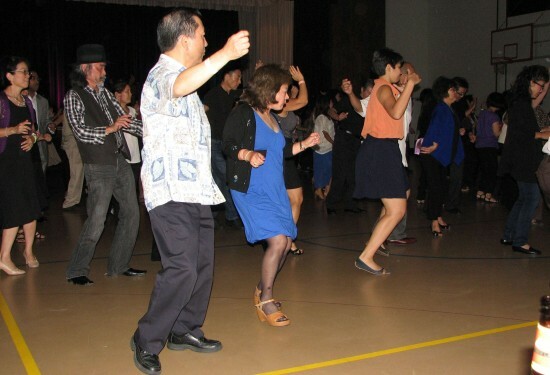 A dance benefit for the Japanese American Cultural and Community Center, “Bringin’ It Back to J-Town,” was held May 4 at Nishi Hongwanji Buddhist Temple in Little Tokyo. 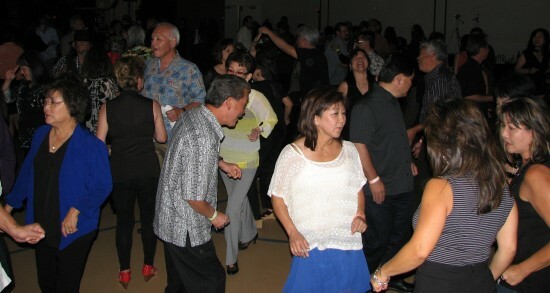 The Friends of the JACCC, partnering with community groups and stakeholders, presented an evening of dance music by the band Kokoro, sake tastings, and cash opportunity drawings. Kokoro vocalists Jennifer Cella, Lauren Kinkade and Steven Santiago. The other members are Wayne Horino and Wayne Nagao on keyboards, Glenn Nishida (musical director) on bass, Michael Chung on electric guitar, Gary Liebsack on drums, and Jesse Acuna on congas/percussion. Left: Carol Tanita spoke on behalf of the 31-member Friends of JACCC, who sold tables, gathered donations, got the word out, and volunteered their time. She announced that the Aratani Foundation will match the net proceeds from the dance. 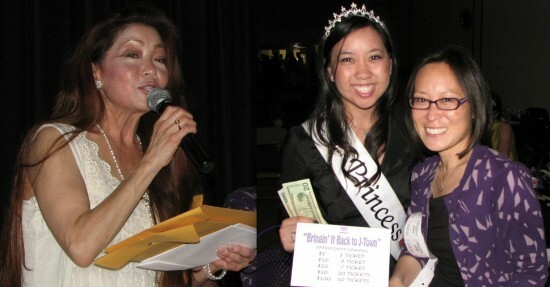 Right: 2011 Nisei Week Princess Michi Lew and JACCC Executive Director Leslie Ito sold tickets for the drawing, whose grand prize was two round-trip tickets within the continental U.S. from American Airlines. 2011 Nisei Week Princesses Jessica Kanai and Amber Piatt also helped out with the drawing. Above and below: Attendees learned line dances, including the Electric Slide. 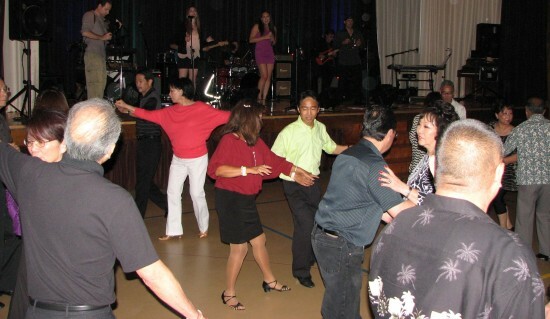 People danced to everything from music of the ’60s to contemporary pop, reliving the days when they hung out at Deer Park, Parkview, Rodger Young and Surfrider Inn.